Revised Edition With Marked and Unmarked String Parts. Composed by Ludwig van Beethoven (1770-1827). Edited by Jens Dufner. Sheet music. Henle Music Folios. Classical. Solo part (softcover) and accompaniment. 272 pages. G. Henle #HN894. Published by G. Henle (HL.51480894). Alongside Bach's Solo Suites, a further highlight for cellists are Beethoven's five Cello Sonatas. 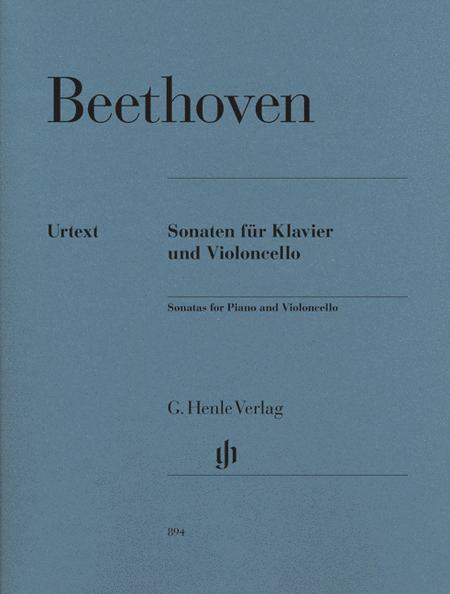 They were published between 1797 and 1817 and thus cover a large part of Beethoven's compositional lifetime, mirroring important stages of his musical development. 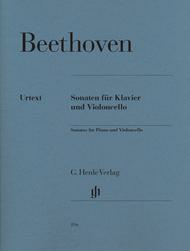 Our revised edition incorporates the findings contained in the critical report of the Beethoven Complete Edition which was compiled at the same time. The Urtext edition has been re-engraved, but the proven page layout of the previous edition has been preserved. The renowned cellist David Geringas provided completely new fingerings and bowings for the cello part, which also has excellent page turns. An unmarked Urtext part is also included.